Football is a passion shared by billions of people across the globe, from Europe to Asia, to the Americas and the deepest parts of Africa. It is a global movement that is a force across all the media platforms in the world. Football makes news every second of the day and the sheer amount of the news items can sometimes be overwhelming for news outlets to pass around to the people. 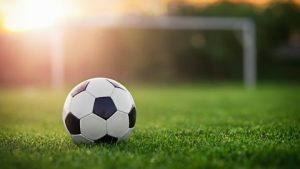 We at The Football Blog endeavour to lighten this load by disseminating news and updates that are sought after by the dedicated fans of the beautiful game across the world. We collect real time information using reliable agents and reliable sources from all the major football clubs and football news outlets to provide our readers with the most recent information regarding their clubs, their favourite players, the transfers that are happening, the fixtures, the line-ups and any changes, both minor and major, that happen at any given time of the day. We have a team of dedicated writers who verify any information and present it to the readers in the most appropriate format that can easily be understood by all English speaking audiences. Our comment and feedback sections allow our readers to interact with each other in real time. Our customer care team is always ready to help at any given time of the day because we value you, our esteemed readers. Feel free to contact us with articles, suggestions, and feedback. Your constant participation is what enables us to improve ourselves for your benefit.